Parents, young people, community organizers, and educators describe how they are fighting systemic racism in schools by building a new intersectional educational justice movement. 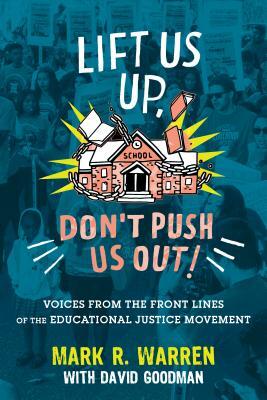 Illuminating the struggles and triumphs of the emerging educational justice movement, this anthology tells the stories of how black and brown parents, students, educators, and their allies are fighting back against systemic inequities and the mistreatment of children of color in low-income communities. It offers a social justice alternative to the corporate reform movement that seeks to privatize public education through expanding charter schools and voucher programs. To address the systemic racism in our education system and in the broader society, the contributors argue that what is needed is a movement led by those most affected by injustice--students of color and their parents--that builds alliances across sectors and with other social justice movements addressing immigration, LGBTQ rights, labor rights, and the school-to-prison pipeline. Representing a diverse range of social justice organizations from across the US, including the Chicago Teachers Union and the Genders and Sexualities Alliance Network, the essayists recount their journeys to movement building and offer practical organizing strategies and community-based alternatives to traditional education reform and privatization schemes. Lift Us Up! will outrage, inform, and mobilize parents, educators, and concerned citizens about what is wrong in American schools today and how activists are fighting for and achieving change. Mark R. Warren is professor of public policy and public affairs at the University of Massachusetts, Boston, and the founder and cochair of the Urban Research-Based Action Network. The author of three books, including most recently A Match on Dry Grass: Community Organizing as a Catalyst for School Reform, Warren studies and works with community and youth organizing groups seeking to promote equity and justice in education. David Goodman is an award-winning independent journalist and the author of ten books, including four coauthored with his sister, Democracy Now! host Amy Goodman.